With the wide spread expansion of broadband technology, telemedicine is becoming an incredibly effective solution that is providing a new alternative to improve our current health care landscape. These innovations not only result in the substantial reduction of health care disparities, but also in a reduction of healthcare costs across the country. Hundreds of applications have already been developed, and states that have passed telehealth legislation are realizing many of the benefits. For example, if a patient has heart disease, the use of telemedicine can allow cardiologists to monitor their patient’s vital signs remotely through a patient’s mobile device. These advances can save time, money, and allow physicians to closely monitor the health of their patients at a distance. This example is just one of the many uses of telemedicine, and the more states that adopt telehealth legislation, the more patients these applications can serve. Telemedicine is one of the key opportunities for telecommunications technology to change lives for the better. Thankfully, advances in the ability to diagnose and treat patients remotely using high-speed broadband connections are coming at a crucial time in American medicine. A new survey shows that almost a third of adults worldwide who currently use a connected health device or tool to manage their health did so to monitor or improve their exercise level. Is Next-Generation Broadband the Key to Improving Patient Outcomes through Telemedicine? 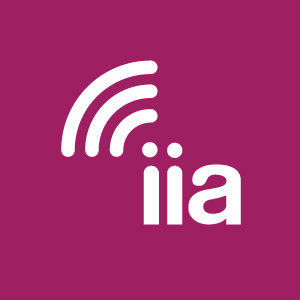 On October 31, IIA hosted a Telemedicine event featuring a fireside chat with FCC Commissioner Brendan Carr and a panel of telehealth professionals. Telemedicine is a growing segment of the U.S. healthcare system. Today, hospitals, specialty clinics, and other healthcare organizations have embraced telemedicine-services for their potential to provide high-demand care in mental, rural, and foreign health markets. Americans are becoming more comfortable with the idea of using telemedicine for medical consultations, ongoing care to manage chronic illnesses, or even urgent health care needs.